Equity shareholders invest in the company which can payback by dividends and capital gains. While analyzing a company, it is always good to look into how much the company is paying a dividend to its investors and how much it is keeping for its usage. Dividend gives investor immediate cash whereas money which was kept by the company will be reinvested into the business, which will be given greater returns in long run. To understand this retention ratio helps a lot. 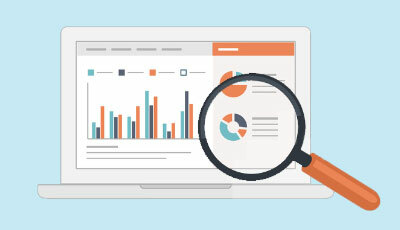 The retention ratio also referred as the plowback ratio, is an important financial parameter that measures the number of profits or earnings that are added to retained earnings (reserves) at the end of the financial year. In simple words, the retention rate is the percentage of net profits that are retained by the company and not distributed as dividends to investors at the end of the financial year. The retention rate is calculated by subtracting the dividends distributed (including dividend distribution tax) by a company during the period from the net profit and dividing the difference by the net profit for the period. 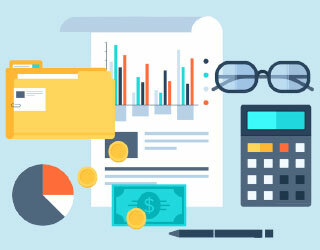 The numerator of the above equation calculates the earnings that were kept during the year since all the profits generated by the company that is not distributed as dividends to the investors during the period are kept by the company. One could simplify the above formula by rewriting numerator as earnings retained during the year divided by net income. 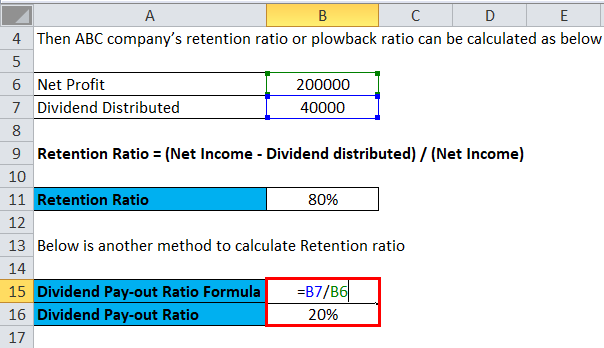 Retention ratio can be also calculated if we know the dividend Pay-out ratio. ABC Company earned $200,000 of net profit during the financial year and decided to give dividends of $40,000 to its shareholders. 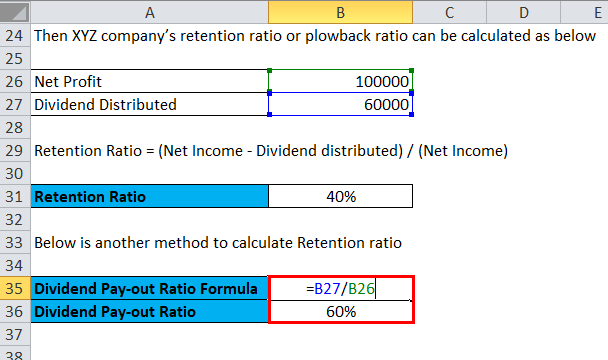 Following calculations show how to calculate retention ratio or plowback ratio. As you can see, ABC company’s retention rate is 80 percent. In other words, ABC keeps 80 percent of its profits in the company and only 20 % of its net profit profits are distributed to shareholders as dividends. 80 % of the net profit is retained into the business shows business is in a growth phase and more capital is required for future growth. Though one ratio is not sufficient to jump to conclusion, analyst or investor need to look into other parameters to access the growth. Company XYZ has a net profit of 100,000 during the financial year FY 2019, and management decided to distribute a dividend of 60,000 (including dividend distribution tax) to its shareholders. Company XYZ retains 40 % of the total profit and distributes 60 % of the profit, it can be seen as a signal of slow growth into the company’s business or company doesn’t need more cash for its future growth. 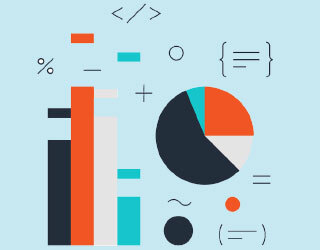 As companies need to keep part or full portion of their net profits in order to continue its operation and grow, investors take this ratio to help to forecast where companies will be in the near future. Mature companies will start giving a dividend, growing companies will try to keep as much profit they can to fuel the future growth of the company. Most of the tech companies rarely gave dividends because these companies wanted to reinvest in their business and continue to grow at a good rate. The exact opposite is true for established companies like General Electric. General Electric gives dividends every year to its shareholders. Higher retention ratios are not always considered good from an investors point of view because this means the company doesn’t give many dividends. It might also mean that the stock price is continually appreciating because of company growth prospects. This ratio helps to understand the difference between an earnings stock and a growth stock. This is one of the important financial metrics because it shows how much a company is re-investing into its own operations. Without a consistent reinvestment rate, the company’s growth would be completely dependent on financing from creditors and investors. The company’s on growing track keeps maximum as retained earnings to fuel the future growth. So, such companies retention rate is higher sometimes it may touch as high as 100%. On the other hands, companies in mature phase don’t need much cash for growth so these company distributes cash to investors as dividends and retains less from the profit. 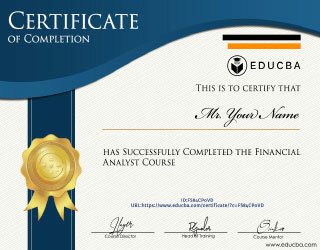 This can be touched as 100% of the profit distributed as dividend. Retention ratio also shows management’s attitude of giving investors back. Less retention ratio is also an indication of fewer re-investment opportunities in same business. In simple words, the retention ratio is the exact opposite of the dividend pay-out ratio because it shows how much money from the profit the company decides to keep in its own bank account; whereas, the dividend pay-out ratio shows the percentage of profits that a company decides to distribute to its shareholders. The dividend pay-out ratio decreases retained earnings whereas, the plowback ratio or retention ratio increases retained earnings. 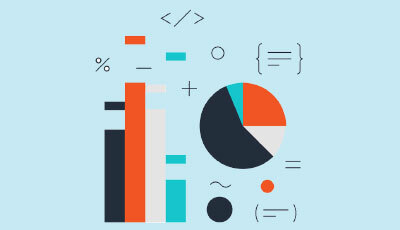 Future growth potential and retention ratio are so much directly linked that future growth rate can be calculated as a product of return on equity and retention ratio of the company. 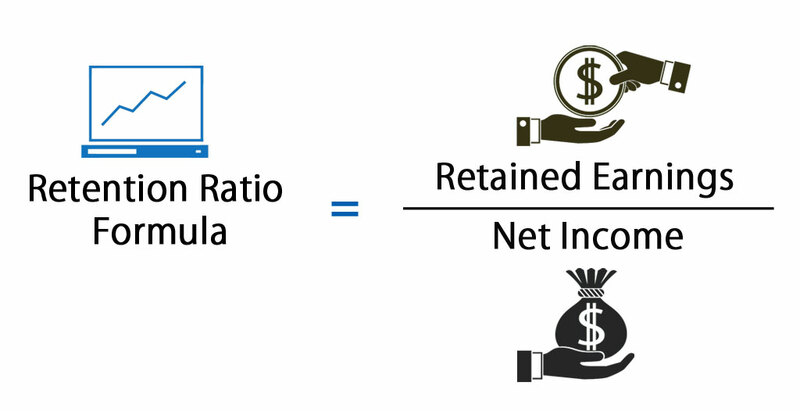 You can easily calculate the Retention Ratio using Formula in the template provided. 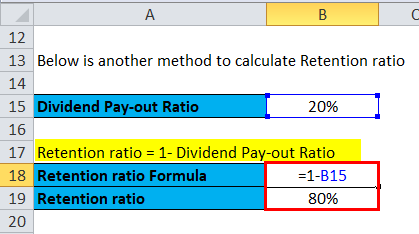 Retention ratio can be also calculated if we know the dividend Pay-out ratio. we can get dividend Pay-out ratio by subtracting Dividend distributed from Net Income. 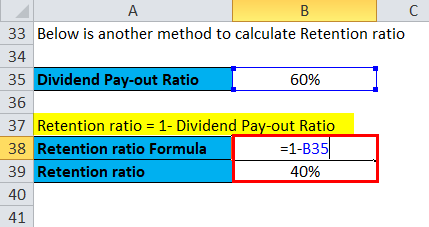 Then we can calculate the Retention ratio from dividend Pay-out ratio value.